As Art Collector’s, you have spent considerable resources and countless hours curating the perfect art collection the last thing you want is for that collection to be compromised due to environmental hazards or improper care. We have some pro tips provided by one of the largest privately owned galleries in America on how to care for your artwork and retain its value. 1. AVOID OR LIMIT DIRECT SUNLIGHT. Exposure to direct sunlight can fade the color of almost anything, including your new work of art. Avoid hanging your artwork anywhere where it will receive regular exposure to direct sunlight. 2. KNOW WHEN TO FRAME WITH ACRYLIC PLEXIGLASS, NOT GLASS. What if you specifically wanted to hang that perfect picture in your sunroom? If you don’t want the sun dictating your design choices, just make sure that your picture is framed with a UV filtering acrylic rather than glass. It’s actually lighter than glass and will protect your art from fading or yellowing in direct sunlight. 3. PAY ATTENTION TO HUMIDITY. Always avoid directly touching your paintings or acrylic framing surfaces without wearing cotton gloves. If you do, you risk damaging them by exposure to your fingerprints and natural oils. 5. KEEP YOUR GLASS OR ACRYLICS SQUEAKY CLEAN. When cleaning the glass or acrylic panel protecting your artwork, always use a soft non-abrasive cloth or microfiber towel. You should also consider purchasing an acrylic or ammonia-free glass cleaner. If you have a unique painting that’s not behind glass or acrylic, don’t use any cleaners or solvents on the surface to clean the painting…EVER. Instead, just lightly dust off the artwork with a soft feather duster or sable brush. 7. DON’T LEAVE YOUR ART IN A TUBE. If you’re not ready to hang your art yet, definitely do not leave it rolled up in a protective cardboard tube. You always want to store your art flat. Acrylic paint or embellished paintings stored in tubes can become stained, cracked, or dried up if they’re left rolled up for too long. 8. KEEP YOUR STORED ARTWORK SEPARATED. When you’re storing multiple works of art, always keep something in between each work while they’re laying flat. Place a 2- or 4-ply rag or conservation matboard cut 2 inches larger than the artwork in between each work. This will help protect the artwork from acidic damage, curling, and potential creasing. 9. STORE ART IN A COOL, DRY, DARK PLACE. Pantry rules apply when you’re trying to protect the unframed artwork. The best way to avoid damage from sunlight, humidity, and temperature fluctuations is to keep your art somewhere cool, dry, and dark. 10. CONSIDER A SOLANDER BOX. If you want to be sure that your art stays protected, you might want to invest in a solander box. These are acid-free print boxes with hinged front panels that can be purchased from conservation suppliers. After acquiring Art, protection and conservation are important steps in keeping its value and beauty intact so you can enjoy it for many years to come, and pass it on to future generations. Bernard Fleischer & Sons Inc. (ArtInsuranceNow.com) cares deeply about your collections, provides resources to help you mitigate risk and with our comprehensive Art Collector’s Policies, you can be assured that you have all the bases covered. Give us a call at 800.921.1008 with any questions about your specific situation on how to properly protect your artwork. 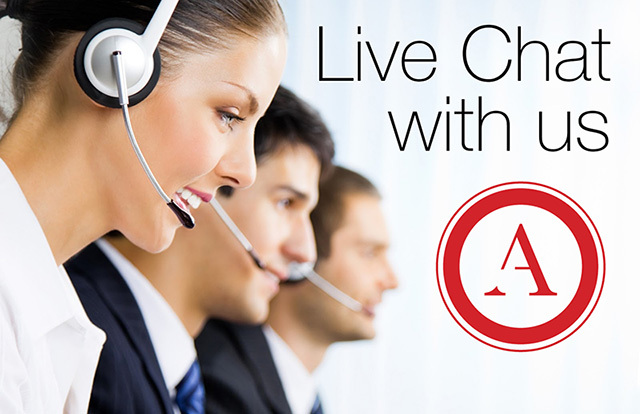 We can also be reached via live chat at www.ArtInsuranceNow.com or click below to get a free quote online with our user-friendly application. You may not be able to protect against all the risks your business faces, but you can manage some of them with business insurance. This is what a business owner’s policy, or BOP, is designed to help you do. Risk comes with the territory when you run a small business. Negative cash flow, personnel issues, accidents on your premises, fire or flood — these are just a few of the risks that can disrupt the stability of your business. One lawsuit or catastrophic event can be enough to set your business back and may even force you to close your doors. A BOP is a policy designed specifically for the needs and budget of small business owners, and the risks they commonly face. BOPs bundle two types of protection in a single policy — commercial property and general liability insurance — which allows providers to sell them for less than two policies sold separately. BOPs are also customizable. You can add on coverages to tailor a policy to the specialized needs of your business or industry. A BOP may be right for you if your business has fewer than 100 employees, meets certain maximum income requirements and is a low-risk operation. Businesses that are larger, highly specialized or have high-risk operations may need more coverage than a BOP can provide. Here’s a closer look at the coverages that are included with a BOP. If your building is vandalized, for example, your BOP policy will help cover the cost to repair the damage and replace any damaged contents. If a customer’s property on the premises was also damaged, a BOP will help pay to replace that, too. But BOP property coverage is not all-inclusive. When purchasing a policy, be sure you understand what business properties and perils are included and excluded to avoid any surprises should you need to file a claim. If you want broader protection beyond the standard BOP, you may be able to purchase a “special” BOP form that provides all-risk coverage for a higher premium. Your BOP policy will help pay lawyers’ fees, settlements or judgments and other costs related to a lawsuit. It may also cover up to one year of medical expenses for an injury sustained by a third party on your premises or as a result of your business operations or products. Property insurance may cover your business’s physical assets, but it does not cover lost revenue that results from those damages. Business income insurance is a way to help sustain cashflow if you need to suspend operations while recovering from a covered property loss. Many BOPs include business income insurance as part of the property coverage. If your business is interrupted, this important coverage can help pay for ongoing expenses such as employee payroll and rent. It may also cover the extra expense of running your business out of a temporary location while your property is restored. Many policies limit business income protection to six or 12 months of lost revenue. Be sure to review the time limits associated with your policy with Bernard Fleischer & Sons Inc.
Data breach: If your business experiences a data breach, this coverage can help with the cost of notifying affected parties, protecting stolen identities and engaging credit monitoring services, as well as help with legal defense, settlement or judgment costs. Professional liability: This coverage protects your business from lawsuits claiming that your business committed a negligent act, error or omission in professional services provided to a client or customer. Spoilage insurance: If you sell perishable stock such as food or plants, spoilage insurance can protect your lost income should stock expire due to contamination, equipment breakdown or a power outage. A standard BOP covers the primary risks associated with running a small business, but it doesn’t cover everything. You’ll still need to purchase workers’ compensation insurance if you have employees, commercial auto insurance if you have a business-owned vehicle, and other types of insurance depending on your business. If you need extra coverage beyond the limits of the standard BOP, you can also supplement your coverage with an umbrella insurance policy. Talk to us to learn if you qualify for a BOP and if you do, what coverages and limits may be right for your business.